Think mountain climbing in Washington state and the mind naturally gravitates to Mount Rainier. No other mountain within the contiguous United States is as extensively glaciated or has as much prominence. Climb for Clean Air is an exclusive mountaineering training and fundraising program designed to give you the training, technical support and guide services you need to summit magnificent mountains safely, including Mt. Rainier. Famous Rainier Mountaineering, Inc. guide Lou Whittaker help create Climb for Clean Air, helping novices reach the top while raising money for the American Lung Association. 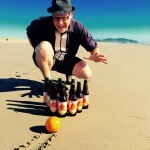 This June, Peaks and Pints co-owner Ron Swarner will be climbing Mt. Rainier with the Climb for Clean Air folks. Please help him raise money for the American Lung Association and his journey up the mountain here. In the meantime, lets drink a flight of mountain-themed beers that we call Craft Beer Crosscut 12.2.18: A Flight of Mountain Beers. 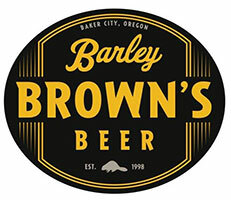 Coyote Peak is a mountain overlooking Baker City, Oregon — the home of Barley’s Browns Brew Pub. We don’t know if Barley Brown Beer’s founder Tyler Brown designed his Coyote Peak recipe while perched on the 4,265-foot mountain, but the multiple award-winning brewer nailed it. The four-time North American Beer Awards medalist Coyote Peak is a refreshing, clean, Northwest-style wheat beer brewed with American white wheat and 2-row barley with aroma of citrus and wheat. The flavor has a slight sweetness with grain and a bit of yeast. It finishes wheat-y with a bit of spice. 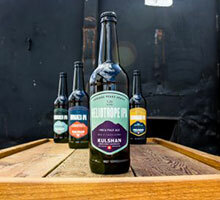 From its inception, Kulshan Brewing Co. has long pulled inspiration from the rugged peaks of the Cascades beginning with its namesake, Koma Kulshan, meaning Mt. Baker. 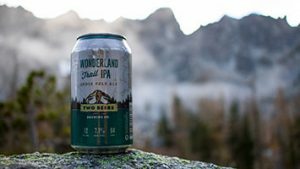 With the North Cascades right at their back door, it’s quite fitting that the newest line of IPAs released by the Bellingham brewery be named the Cascade Peaks IPA Series. The series aims to pay tribute to a handful of prominent peaks within the range that Kulshan employees know and love. Kushan kicked off the series with Heliotrope — named after the Heliotrope Ridge at Mt. Baker — a fruit forward IPA, with a focus on citrus and tropic fruits. Expect a little berry with a pleasant dry, pine finish. Sierra Nevada, also called Sierra Nevadas, major mountain range of western North America, running along the eastern edge of the U.S. state of California where its namesake brewery, Sierra Nevada Brewing Co., lies. 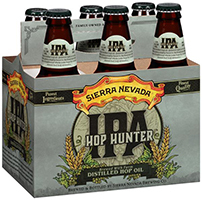 Sierra Nevada has always been on the cutting edge of brewing technology, and Hop Hunter is yet another result of the brewery being a leader in the craft industry. Hop Hunter, an IPA made with oil steam-distilled in the field moments after the hop harvest. 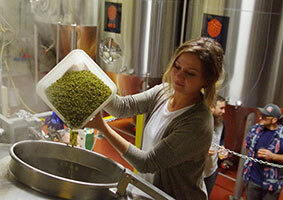 The result is Hop Hunter, a bold, very fresh IPA with a vibrant hop aroma that is lively but very smooth to drink. Crystal, Simcoe, and a Sierra classic, Cascade, finish out the hop aromatics, creating a vivid though well-honed hop character. No better way to end this mountain beer flight than Two Beers Brewing’s salute to the famous trail circumnavigating Mount Rainier. It’s the Seattle brewery’s first foray into the West Coast-style, a light bodied IPA complemented by 2-Row, Vienna and Munich malts while featuring a seamless blend of Washington-grown Amarillo, Citra, Mosaic and Cascade hops. Expect a slightly sweet aroma of tangerine followed by a wave of citrus and passion fruit.